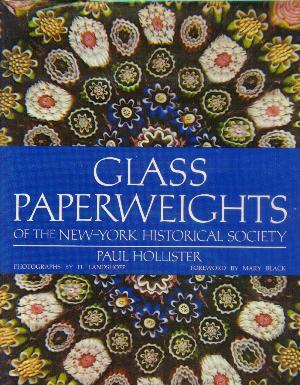 Hollister "Glass Paperweights of the New-York Historical Society"
Paul Hollister "Glass Paperweights of the New-York Historical Society"
This is a stunning view of one of the best and largest paperweight collections ever exhibited. Unfortunately the collection no longer exists. The entire collection was sold at Sotheby's on January 18, 1995. It is rare that we get to see a collection first in museum format and then watch the entire collection go on the auction block. 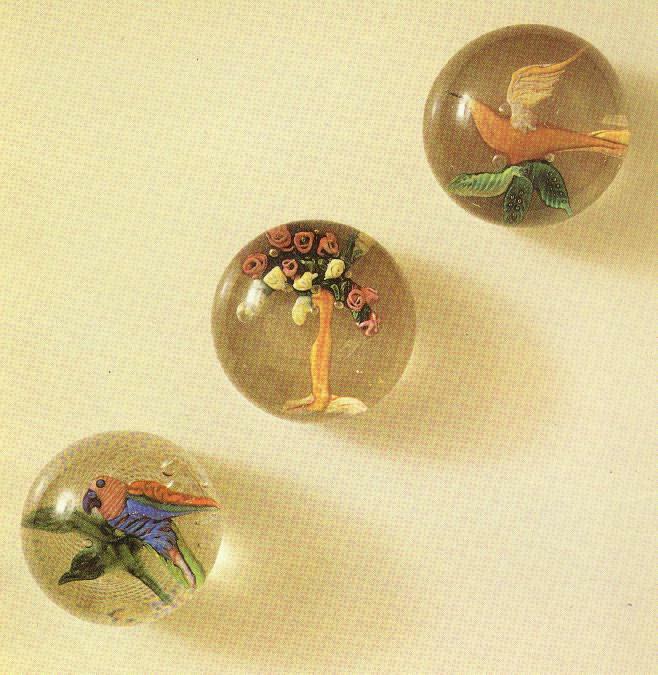 Although it included significant contributions from two other contributors, the collection is best known as the Mrs. Jennie H. Sinclair Glass Paperweight Collection. The collection included a wide variety of paperweights, ranging from American and French Antiques to Millville weights to Chinese 1930s weights. Some of these are kind we find in flea markets and online auctions, although the bulk of the collection were French or American antiques (Baccarat, Clichy, St. Louis, Boston and Sandwich, and New England Glass Company). The book includes color photographs of the best of the collection supplemented by black and white photographs of the others. Descriptions are given for all 549 paperweights in the collection. 9" by 12 1/4". 1974. 221 pages. 120 color plates plus many black and white photographs. Hardcover.